My first lesson in watercolor painting as an architecture student in Rome, Italy, consisted of a curious presentation involving our professor Richard Piccolo's special "green outfit" (with which he explained that colors come in many shades) and some marvelous slides of John Singer Sargent's watercolor views of Venice for inspiration. A few weeks ago I took my mother the Museum of Fine Arts Houston to finally admire in person those very watercolors that as a student I tried to emulate. 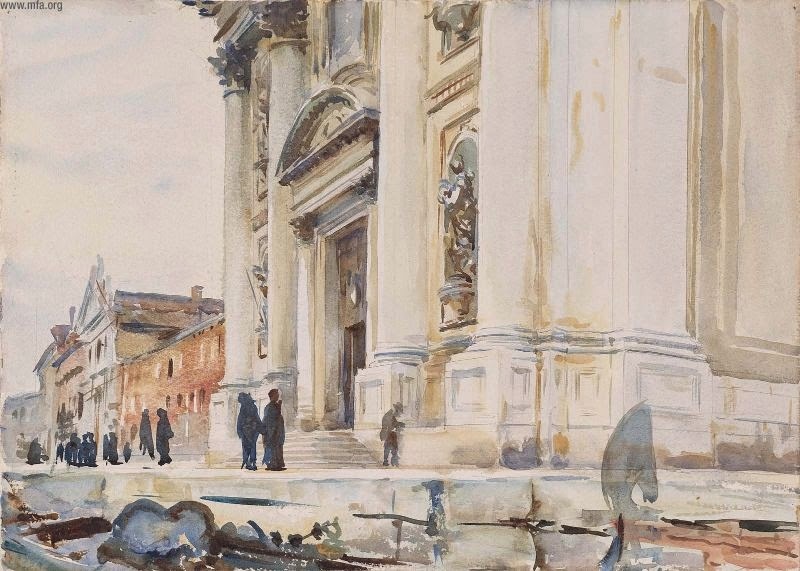 My mom asked how many hours I thought it took Sargent to work on of his sketches, and I said "not hours, minutes!" I then told her the most important lesson I had learned in Piccolo's class was to "never let the water dry, never loose the light", and to achieve that one must race against time, a difficult yet beautiful medium watercolor is! 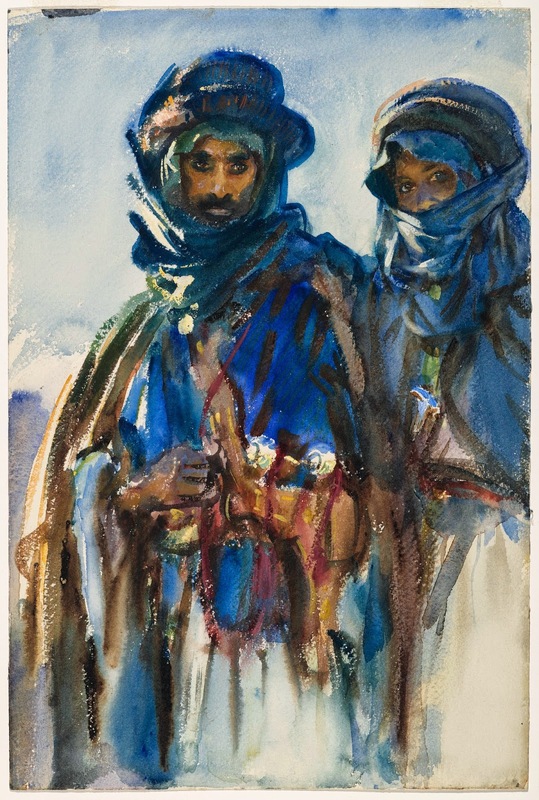 Sargent's sketches are indeed quick,wet, luminous, and marvelous! The special exhibit stays in Houston through May 26th. 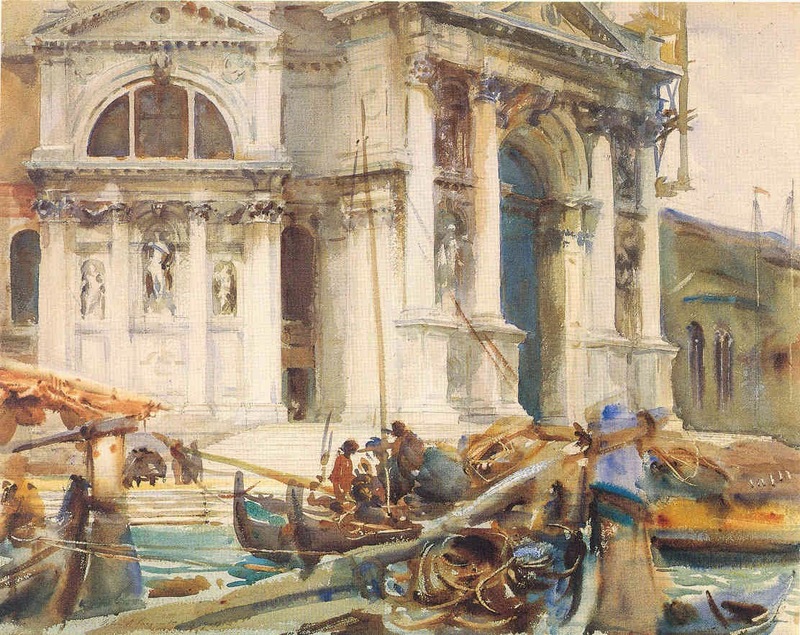 John Singer Sargent "I Gesuati".